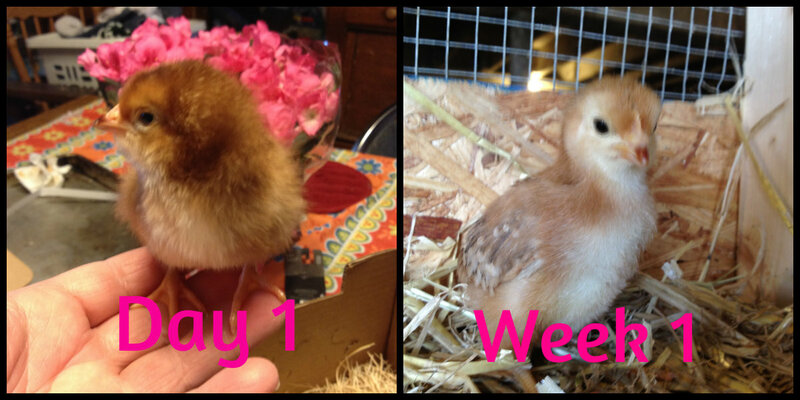 My Rhode Island Red chicks are one week old today. They are still small compared to the sexlinks. I’ve read that sexlinks were bred to mature quicker, so I’m not too concerned about the size of these ones. They are all healthy, eating and drinking well, and very active little chicks. I’m actually surprised at how active they were, right from the first day. The Golds spent their first couple of days huddled under the brooder lamp. It was early April, so that could be a factor, but that’s what they did. Huddled. They spent very little time exploring the box and rarely went to the other side of it at all. The Reds spend very little time under the brooder lamp and they always seem to be spread out all over the box, playing with the bells or each other. The reason I think that? Almost every time I go to check on them, feed or water them, I will find the little squirts lined up around the edges of the brooder box, pecking out a constant tap-tap-tap, tap-tap-tap, tap-tap-tap. All 25 of them. tap-tap-tapping at the walls and floor of the brooder box. They stop when I ask them what they are doing. A couple of them will look up at me with these cute little ‘who, us?” expressions and then the tap-tap-tap will continue. Again, my Golds spent their first couple of days huddling under the red glow of brooder lamp. So this behavior has me curious. Should I be prepared to be over-run by little fuzzy chicks in the near future, or are they looking for weaknesses in the walls they can exploit? Look at my wings. They may look small, but soon they will fly me to freedom! 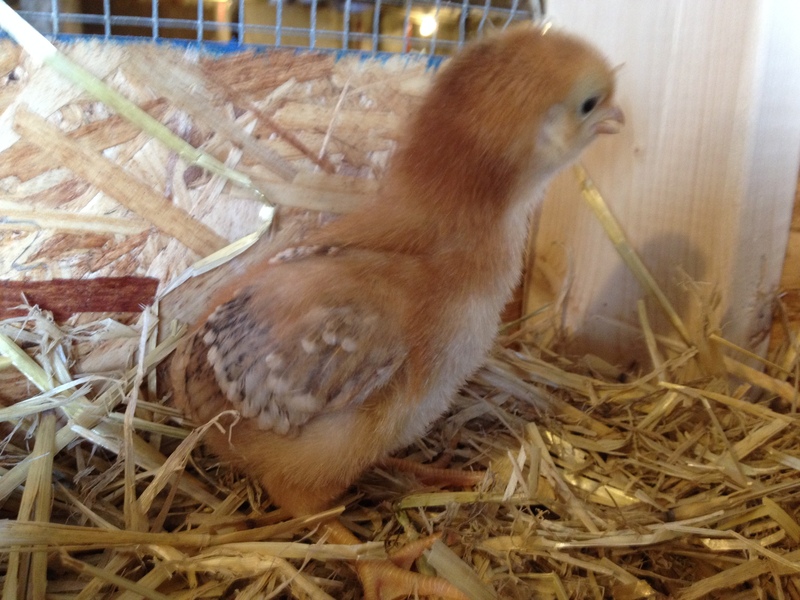 ‹ PreviousMy Little Chicken Coop Spring Chicks Photo Contest!! you will see from the pictures in the slide show, that they are also pecking at the walls of the enclosure – it seems to be a natural way for them to explore their surroundings, so I wouldn’t worry about it – liked the idea of an extract from The Chicken Run anyway!